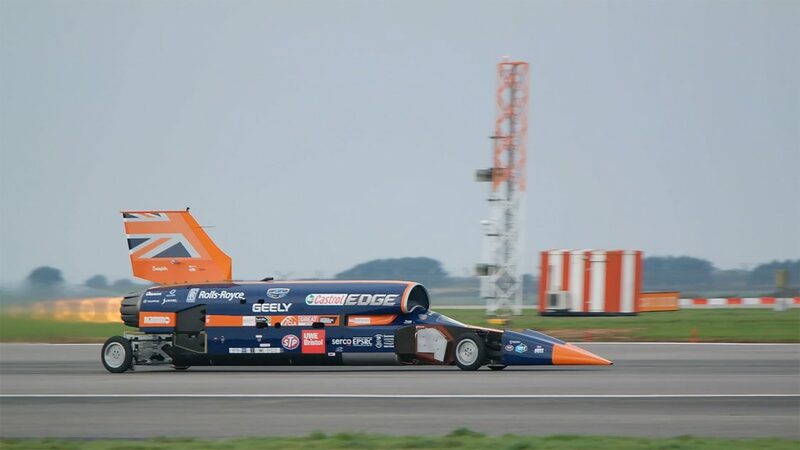 Link-Connect is delighted that its SMART-Hub rapid site connectivity solution has been used to support the communications during the test runs of the BLOODHOUND SSC supersonic car as it prepares for its 1000 mph World Land Speed Record attempt. The BLOODHOUND Project is one of the largest Science, Technology, Engineering and Mathematics (STEM) projects in the UK. It centres on BLOODHOUND SSC, a supersonic car propelled by both a jet engine and a rocket, designed to reach 1000 mph and set a new World Land Speed Record. Core to the project is the mission of sharing this engineering adventure with a global audience, using big data capture underpinned with robust capable communications. The first test run, an important milestone in preparation for the record attempt, attracted significant public and media interest – with over 5000 visitors eager to catch a glimpse of the car. Robust connectivity was needed at the remote test site, where Internet bandwidth was not readily available. This was essential to support visitor access, ensure the shop could trade efficiently and enable live media streaming of data uploads from the car and TV. Since the temporary exhibition hall was erected just 5 days before the event, time presented another challenge. The remote location of the test site meant that a bespoke solution was required to ensure sufficient bandwidth could be guaranteed. A combination of new circuits, multi tenant solutions, metro hubs and WiFi for high volume deployments were rolled out. Working closely with Openreach, Cisco and Efar, on-the-ground teams delivered a network that supported the media requirements for national and local television coverage and a high level of social media activity from visitors, with extreme peaks in traffic when the car finished its run. Link-Connect SMART-Hubs provided portable remote site connectivity across the shop, media centre and exhibition hall delivering the reliability and bandwidth to meet the needs of the visitors, vendors, media and BLOODHOUND Team at this momentous event. During the event the system handled over 115Gb of data transmitted to over 1000 connected WiFi devices and a worldwide audience of millions. The SMART-Hub technology gave complete visibility of the network, which meant traffic could be prioritised and controlled – allowing the most important to take precedence. And, since SMART-Hub can support any method of connectivity presented to it, in the event of an outage during the event, 3G/4G or satellite could have been used instead of the fixed circuits. This provided a resilient, cost effective, short-term solution to ensure this important, large-scale, bandwidth-hungry event ran without any connectivity issues. Please send an email to wedontbite@link-connect.com for more information.